Lock in a great price for Sea Valley Hotel & Spa – rated 8.9 by recent guests! The breakfast was AMAZING! So many options, even for a plant based eater like myself. The room was incredibly clean. Staff were so friendly and welcoming!~ Nothing to complain about! The rooms are huge. The restaurant and his staff are amazing. Some massage therapists can be really good. Friendliest hotel staff we have ever had! Great location on the beach, good restaurant and good cocktails. Room was big and really comfy. Private pool was nice as well. Would devenetly stay here again. Overall our favorite place in Thailand yet! Perfect location for people who want to relax and get a proper rest. There are plenty of stores and car rentals around the hotel although you won’t need none because nothing matches the prices and facilities of the hotel. Each villa has its own pool which is great, the big shared pool is with a beach view. The thing that stands out is the staff. You can have the best resort in the world with the finest of facilities, but if you don’t have the staff to match it’s all a waste. All of the staff were friendly and approachable however, i have to point out Pap and Benz who went out of their way to provide us maximum comfort during our stay. They even took their service further to personally recommend a few places and activities to do around the island, together with a brief history about their local food, heritage and culture. A definite 10/10 experience Thank you and see you again! The Management upgraded my room for a room with jacuzzi, I was so impressed!! So lovely staff. Great location near the sea side, bed like a cloud, everything so nice! I did my yoga and had an early morning’s swimming in the sea. Was so perfect. Sea is perfect here. That Place is so relaxing. No crowd, just you and some lovely travelers around. A restaurant is so cute and I can to find so many tasty dishes to eat. I’m enjoyied that quiet place so much. It's worth every cent. A souvenir shop have many interesting crafts things to buy for your own house. I didn’t expect the hotel to be so nice. Thank you Samui to show me it. Room was beautiful and right on the beach. Was like staying in paradise. The beach and the sea were private, secluded and nice place to swim. The rooms were very comfortable and clean, and the private pool was great! The staff was friendly and tried to be helpful even though they weren't very up to date. The restaurant was excellent. Sea Valley Hotel & Spa This rating is a reflection of how the property compares to the industry standard when it comes to price, facilities and services available. It's based on a self-evaluation by the property. Use this rating to help choose your stay! 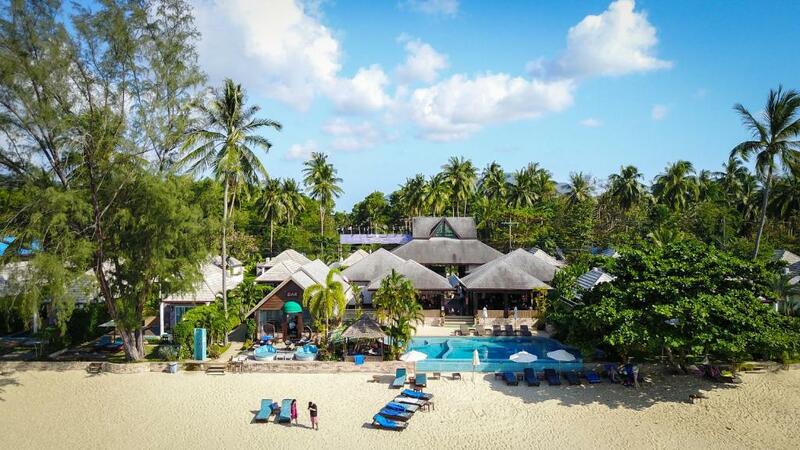 One of our top picks in Lipa Noi.Overlooking the sandy shores of Lipa Noi Beach, Sea Valley Hotel & Spa features private air-conditioned villas, most with a private pool and spa tub. In addition to its seafront outdoor pool, the hotel also provides pampering spa services. Hiding behind landscaped grounds, villas feature a private terrace which enjoys beautiful sunset views. With hardwood floors and free Wi-Fi, villas come equipped with a cable TV, DVD player and a lounge area. Private bathrooms have glass roofs and hot-water showers. Located across from popular Chaweng Beach, Hotel Sea Valley & Spa is a 5-minute drive from the white sands of Nathon Beach and a 45-minute drive from Samui Airport. 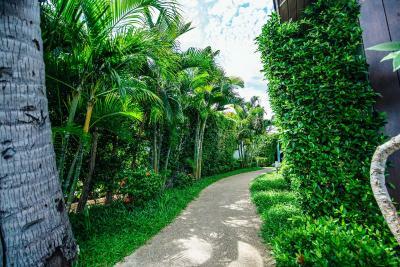 The staff at the tour desk can help arrange trekking and diving trips, where guests can explore the natural beauty of Koh Samui. Alternatively, traditional Thai massages can be enjoyed at the spa. Overlooking the beach, Sea Valley’s restaurant has an intimate dining experience at its outdoor sitting area. After meals, relax with a cocktail and watch sports at the bar. This property also has one of the top-rated locations in Lipa Noi! Guests are happier about it compared to other properties in the area. When would you like to stay at Sea Valley Hotel & Spa? On the 3rd row, these villas all have a cable TV, a DVD player and a lounge area. Private bathrooms feature glass roofs and hot-water showers. Located on the 3rd row. villa offers garden views. It is 33 feet from the large outdoor pool and dining options. Located on the 3rd row, villa features a private pool and bathrooms with a bath and free toiletries. On the beachfront, exclusive villa features a private pool and hot tub. Located on the 2nd row, this pool villa offers sea and garden views. It is 33 feet from the main pool and dining outlets. Located on the 3rd row, this villa features a private pool, garden views and air conditioning. When you getting at the island of Koh Samui - you can watch how many people are being forced to put up with the noisy night life and crowds of tourists . Laying the foundation for Sea Valley Hotel on the beach Lipa Noi we have tried to create a safe haven for lovers of tropical nature and high quality hotel service - and we did it ! House Rules Sea Valley Hotel & Spa takes special requests – add in the next step! Sea Valley Hotel &amp; Spa accepts these cards and reserves the right to temporarily hold an amount prior to arrival. Sea Valley Hotel & Spa accepts these cards and reserves the right to temporarily hold an amount prior to arrival. Better location and more friendly service from hotel manager. A lot of kids at the resort too which i didn't expect. The service of the some of the staff was unbelievably good!! Sunny and Moon were a joy to be around!! If i was to be really picky the private pool could be cleaner and a bit more secluded, maybe a gate entry put on for more privacy. The public pool was gorgeous, I stayed here with my wife as part of our honeymoon. The sand on the beach is lovely and soft, make sure you get up early to reserve a sun lounger!! The staff were brilliant, really helpful and attentive. Loved the little buzzers on the beach to call for speedy service. We loved it so much here that we booked two more nights! It was located on the calm part of island. Far from parties. I recommend it to those who want to chill. Staff was very friendly and helpfull. Thank You Dada! The hotel is amazing the food is great the rooms are so comfortable and spacious for the villa with private pool and sea front staff are so nice will recommend it if you are going on honeymoon. Very peaceful and quiet . The sound insulation of the villas was not that great so you could hear what was going on outside. Some ants kept reappearing in our room - there were not many, but it was still a little bit annoying. Sadly I have to update my recent and very positive comment. We wanted to stay here again but could not make it to the location due to tropical storm Pabuk and asked for a refund. We were told that a refund is not possible since they already paid taxes and Booking.com fee. We offered to compensate for their costs and asked wether we could find a compromise. We did not even get an answer to this request and were charged the full price. This is really sad, especially since we liked the staff and place the last time we stayed. Every other hotel was really kind and understanding about the weather conditions. Will probably not come back here at our next trip to Thailand. The beach is full of trash just few meters away from the hotel. The water is brownish. There is nothing else to do other than to stay at the hotel. If you search for a paradise beach, quietness, good food and service, then this is the place! Nothing really. Bathroom smelled a bit weird but not a problem.